Great thread as always ! Ty maybe just a few more charms are needed lol ! This set has one of my favourite shoulders with a wolfpelt. This is definitely one of the most color/theme coordinated sets out there with the wolf theme. Black raven on fallen snow. Black velvet on olive skin. Angry rustle of broken wing. Don't look for me, don't call me. Don't talk of love or of passion. Am i monster if i am heartless? Raven wings fall down to my knee.. I am devil. The child of darkness. And nobody will cry for me. Excellent poem! A great blend of Robert Browning and Edgar Allan Poe.. Both sets are from the house of Corvelia series.. 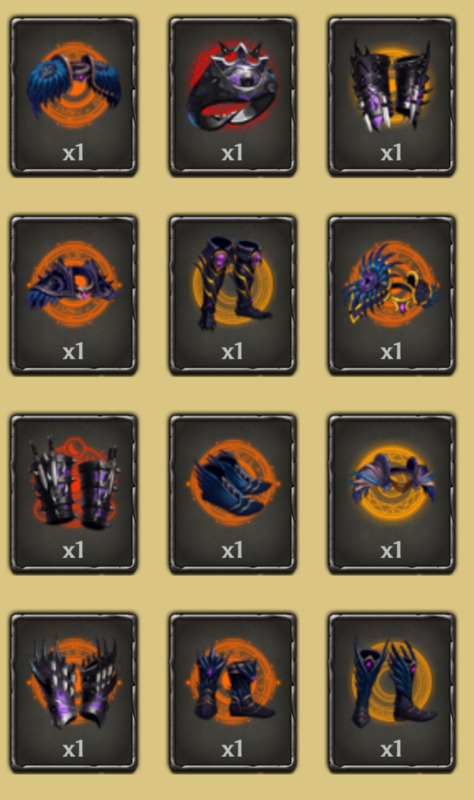 Behold the Nakra Vengeator set . This is one of my favorite sets. The attack stats are all very good and the theme and color all seem pretty cool. One thing I really love about the Vengeator Set is the Magra ring.. It’s the first (that I know of) introduction of a Crocodile god in KaW! 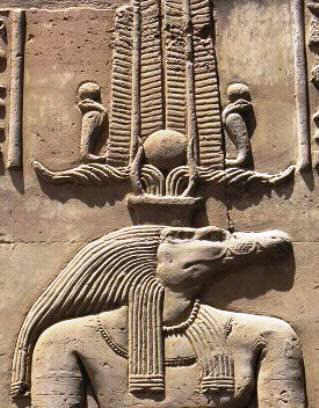 Here’s Sobek.. the Egyptian Crocodile god.. If you ever take one of the longer river cruise journeys up the Nile... there is a town by the river called Kom Ombo in the Aswan “province”.. the temple there has a side dedicated to Sobek..
Another fun fact (well fun for me).. is that the ladies in the reliefs on the walls in that temple show a lot of boobies..
Yea.. so.. well worth going up the river among the land of the crocodiles..